Free download SoftMaker Office latest version. 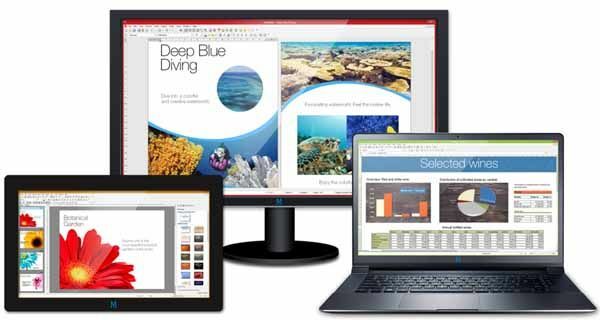 With SoftMaker Office 2016, documents, calculations and presentations are handled just as fast as E-mail correspondence or your appointment and task planning. From simple everyday tasks to the most demanding documents, SoftMaker Office 2016 is your indispensable helper. Word processing: TextMaker 2016: From normal daily correspondence to scientific essays, from a greeting card to an elaborately designed newsletter: With TextMaker 2016, you can create attractive documents as fast as lightning, alone or in teamwork with colleagues. You can either print the completed documents or pass them on as PDFs or E-books. Spreadsheet program: PlanMaker 2016: With more than 350 calculation functions, huge worksheets with one million rows and professional functions such as pivot tables, PlanMaker 2016 is suitable for all kinds of calculations – whether a simple credit comparison or the overall financial planning for a company. PlanMaker enables you to analyze data diversely and to illustrate the results with charts in presentation quality. Presentation software: Presentations 2016: Little work, large effect: You can create impressive presentations as fast as lightning with Presentations 2016. Numerous ready-made templates which can be re-designed at the touch of a button do the work for you. Lend presentations that certain je ne sais quoi with graphics, charts, sound, videos, animations and slide transitions and impress your public with captivating discourses. E-mails, tasks, appointments: Thunderbird: Thunderbird takes competent care of your E-mails and ensures that you keep your appointments, tasks and contacts under control. SoftMaker has extended the Thunderbird interface, developed functions for fast filing and navigation of large quantities of E-mails and augmented Thunderbird with a fully automatic import from the eM Client.